For the second time since its 1861 construction, the historic Morris-Flanagan-Kincaid House will be moved to a new location. Originally built at 106th Street and Kincaid Drive, Hamilton County Tourism moved the house four years ago to a 2-acre site off I-69 on the Navient campus. 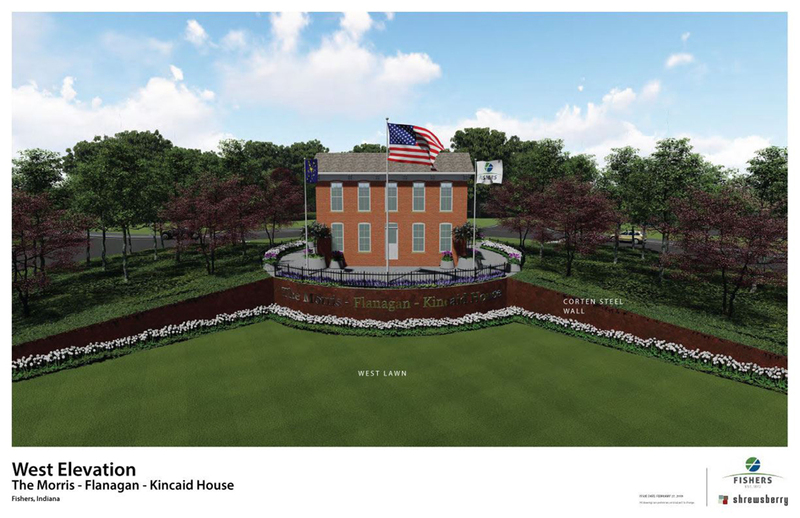 The City of Fishers will acquire the house from Nickel Plate Arts this summer and move it again to USA Parkway and USA Drive, where the house will serve as the centerpiece of a new roundabout. The roundabout will be built near Navient, FORUM Conference Center and First Internet Bank. After the move, Hamilton County Tourism will support improvements to the house. 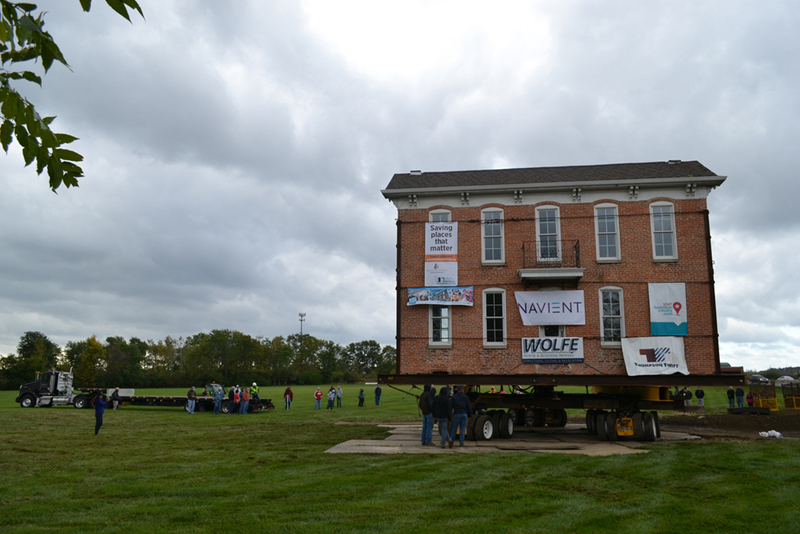 When the house was moved in October 2014, Hamilton County Tourism President and CEO Brenda Myers said the group wanted to relocate it to the west side of I-69 near other historic buildings, but the Indiana Dept. of Transportation wouldn’t allow the structure to be transported across the I-69 bridge. “We looked at every piece of land around there, and Navient agreed to give us this little triangle of land to move the house to,” Myers said. Hamilton County Tourism wanted to move its offices to the house after the move because of the high visibility from I-69. The cost to move the house and lay the foundation was only $65,000, which the Hamilton County Tourism Board paid for. However, the cost to restore the house would be much higher. In 2011 and 2012, Hamilton County Tourism restored two houses in downtown Noblesville for a combined $500,000. However, the Morris-Flanagan-Kincaid House was a third of the square footage and would cost $960,000 to restore. The house is only 950 square feet. 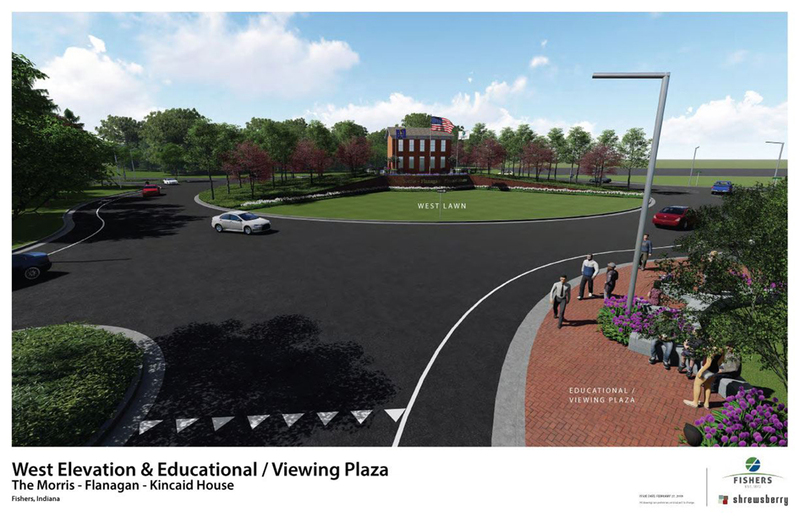 The parties settled on a compromise solution, and when the house is moved to the roundabout, a viewing and educational area will be constructed northwest of the roundabout. Visitors can learn more about the house’s history and admire it from a distance. The viewing area will be accessible by a sidewalk to the north. Myers said the logistics of moving the house is similar to loading a semi. “You distribute the weight widely,” she said. Although the house won’t become a museum, Mayor Scott Fadness sees the importance in keeping the landmark in the city. The project is expected to cost the city less than $400,000. 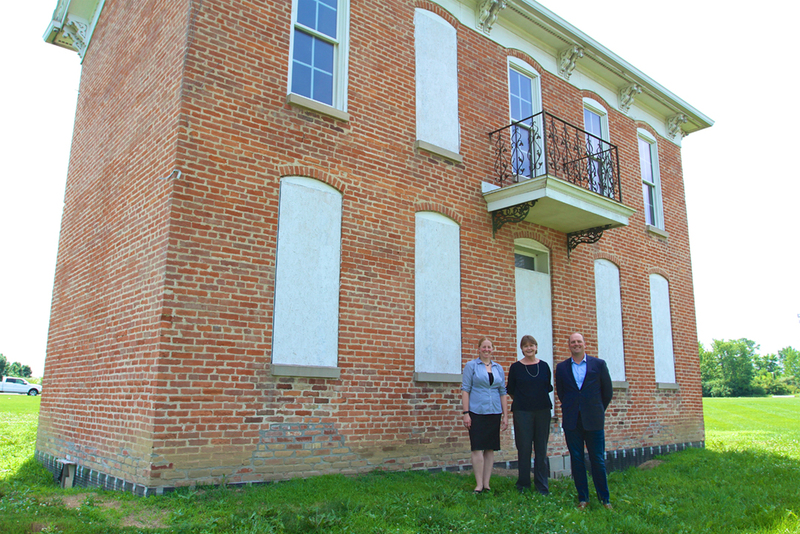 Hamilton County Tourism will support any improvements to the house following the move. 1861: The Peter Flanagan family built the Italianate-style farmhouse from clay bricks made on-site. 1937: The Kincaid family purchased the house after it was owned by Gen. Thomas Armstrong Morris. 2014: The house is moved by Hamilton County Tourism from 106th Street and Kincaid Drive to a property donated by Navient. 2014: House and property are deeded to Nickel Plate Arts. 2018: House will move to become the centerpiece of a new roundabout at USA Parkway and USA Drive. 2020: Construction and final design of the project will be complete.